If you're looking for new sources of overflowing gigil, there's one show you NEED to check out: South Korea's The Return of Superman (RoS). The reality-variety show has been airing in the land of all things cute and wonderful since 2013, and if you haven't been living under a rock, you might have come across the world-famous kids who've long graduated from the show, the Song Triplets Daehan, Manse, and Minguk. Aside from the adorable trio, check out the current RoS kids redefining *CUTENESS OVERLOAD* for fans everywhere. 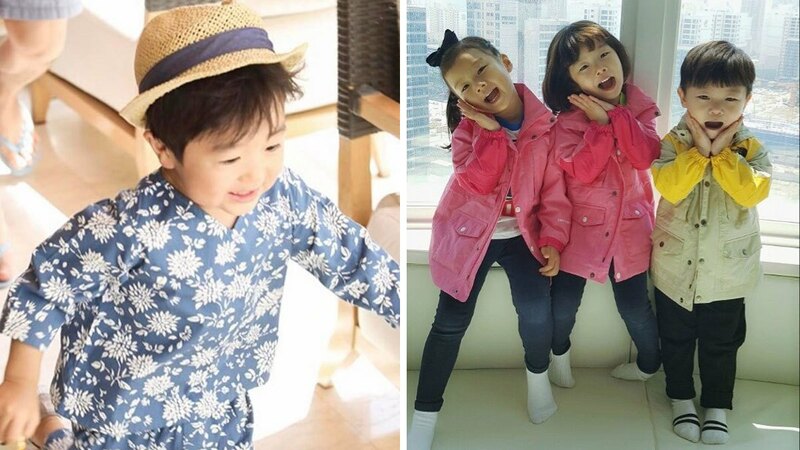 These twins have been on the show since its conception, and their comedian dad, Lee Hwi Jae, has been patiently enduring their antics since they were babies. They have made various girl groups and idols swoon, including Twice, I.O.I, and AOA's Seolhyun. What's great about Seoeon and Seojun (aside from their adorable #twinning moments) is their tight bond as bros. They have each other's backs no matter what, they're unbelievably sweet, and they also make sure they either get in trouble together or avoid getting scolded together. These three are part of soccer player Lee Dong Gook's brood of five, and they never fail to make people fall in love with their endearing traits. There's Suah, the big eater, Seola, the caring ajumma trapped in a toddler’s body, and Daebak, the aping bunso who occasionally acts like an old man. This half-Korean, half-Australian baby is the child of self-declared "Korea's first ever foreign comedian," Sam Hammington. The pair always amuses with their immersion into Korean culture and Sam’s penchant for treating William like a doll by dressing him up in all sorts of outfits. Like his dad, William loooves eating, and he has such an expressive face that makes him a natural as an entertainer. Actors Ki Tae-young and Eugene, a reel-to-real couple, are the parents of this beautiful baby girl who has the cutest (though rare) smiles. Their family's guests and relatives really have to coax her into giving those precious 2-second grins. Who knew that Ko Jiyong, one of the most quiet members of legendary '90s Korean boy band SECHSKIES, would father a child that could talk for daaays? Seungjae has shown one of the most amazing linguistic skills in the show's history, and he surely breathed new life into RoS with his incredible energy. He communicates with everyone—even animals and mannequins. He's also usually makulit and pasaway, but he has great empathy for others. Just look at how his heart broke for these [acting] beggars! Awww! Remember that viral BBC Dad Professor Robert Kelly? He's actually based in Busan, and just recently, his family joined The Return of Superman! New episodes of The Return of Superman get uploaded on KBS World TV's YouTube channel and on Viu (a legal streaming and download app) every Sunday.